icensed security guard companies in the state of New York and New Jersey. 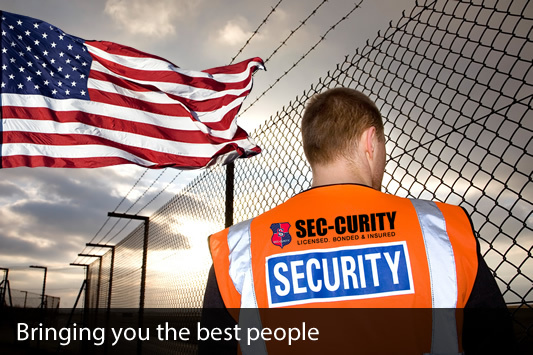 Sec-Curity is a locally based company who for over 8 years has provided unmatched security solutions with the most practical and highly advanced services demanded by our modern day security needs. Our services consist of regular staff security, armed guard security, Marked Vehicle Patrol security, Private investigators, traffic management security, Fire safety Directors, with the help coming from the finely Trained FDNY Fire guard security personnel. Every business is unique. We provide a personalized and flexible service that provides maximum protection foe premises. Fully licensed and professionally trained security guards protecting your premises 24 hrs a day , 7 days a week. Our business is founded on four core pillars, namely: vigilance, professionalism, respect, and sincerity. Sec-Curity provides a comprehensive blend of services through all five boroughs in New York State, Long Island (Nassau and Suffolk County) and New Jersey We aim to deliver specific, client-led solutions through accessing knowledge and expertise from high calibre security professionals and commercial managers.